Choosing cremation neither eliminates nor does it require a funeral service. Traditional or contemporary services are often planned before or after the cremation process. A funeral service followed by cremation may be exactly the same as a funeral service followed by ground burial. They can be elaborate or simple and traditional or nontraditional. Arrangements and ceremonies tend to be as individual as the persons for whom and by whom they are made.They may be personalized specifically to reflect the life of the deceased, and thus have a special meaning. Ryan Funeral Home & Crematory is able to assist in any and all of your Funeral Service needs. 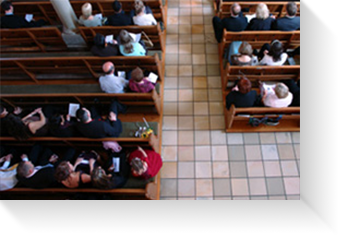 To obtain more information on funeral services click here. Outdoor Niches – The cremated remains of your loved ones may be safely held in one of our many above ground columbarium niches. Scattering – Your loved one’s remains may be scattered freely within a dedicated, natural environment. There are also certain services which offer scattering among the sea or the stars. Personalized Memorialization– Inscribe your family member’s name and a special saying on a tree plaque, park bench or other special memorial. We also have custom, unique urns and keepsakes, perfect for displaying inside your home. For an overview of these items, please visit our Merchandise pages, or contact us directly and we will help you with your needs.